Join us and find out about the start-ups journey, turning their ideas into thriving ventures. 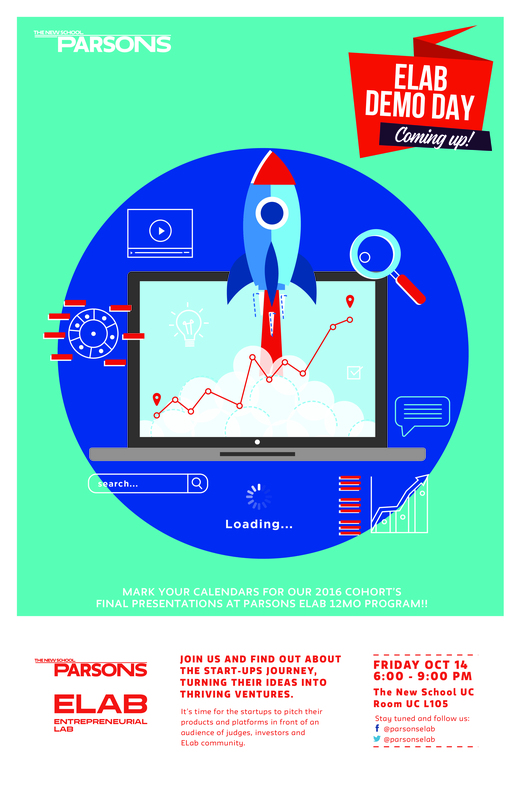 Mark your calendars for our 2016 Cohort’s final presentations at Parsons ELab 12mo Program!! 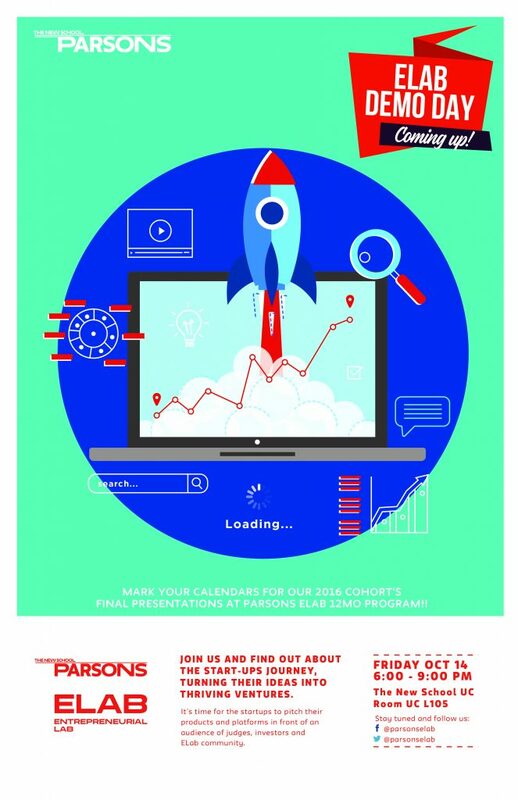 It’s time for the startups to pitch their products and platforms in front of an audience of judges, investors and ELab community. Learn more about the ELab mentorship program and 12 month Fellowship Incubator Program.